Welcome to the Albergo Firenze, Como! 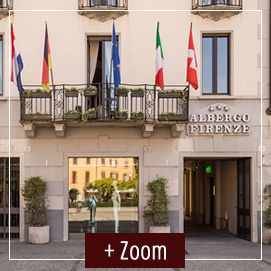 Hotel Firenze is a welcoming 3-star hotel located in a historical Neoclassical building, in the very centre of Como, in Piazza Volta – considered the main meeting point of the town and a limited traffic area ensuring a tranquil and social environment. 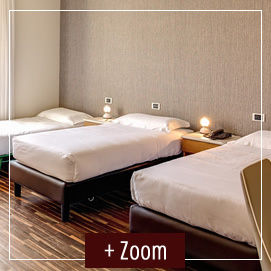 Hotel Firenze is located within easy walking distance of the Como S. Giovanni railway station and from the FerrovieNord railway station, both important connection points between Como and Milan. 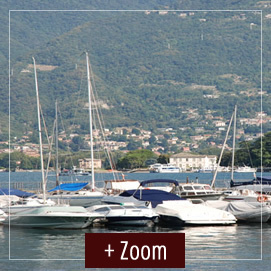 The nearby pier of Como is also the starting point to reach the wonderful lake destinations such as Bellagio, Argegno, Tremezzo and many others. The Albergo Firenze offers both business travellers & tourists the ideal place to relax and refresh close to the lake. Take a look at our Surroundings or Location pages for more detailed information. The Albergo Firenze offers 44 high quality rooms in a variety of sizes including singles, doubles and even triples. 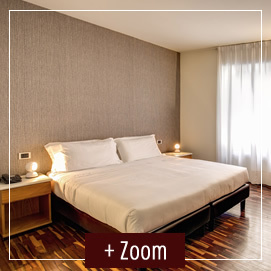 Each room is decorated and furnished in a classic style with dark parquet flooring, wooden furniture and rich fabrics. Some of the rooms enjoy a small balcony with some rooms overlooking the gorgeous square of Piazza Volta, and others overlooking the serene interior garden and courtyard of the hotel. All rooms also enjoy the latest mod cons including digital TV, free Wi-Fi, minibar, air conditioning and private en-suite bathrooms. Take a look at our Rooms page for more information. Our multi lingual and highly trained staff are welcoming and friendly with a focus on making your stay as pleasant as possible. We offer a host of top quality hotel services including a 24 hr reception to assist you with all of your questions including providing tourist and booking information. The Albergo Firenze Como also offers guests a hotel bar and as part of the room price guests receive a complimentary buffet style breakfast served in our breakfast room. See our Services page for more detailed information. Hotel Firenze is an excellent starting point to visit the town of Como. The hotel is located close to the spectacular lakeside promenade, while the streets around the hotel branch out with their many boutiques, restaurants and tourist attractions.A boat ride is mandatory when in Como and represents the ideal opportunity to visit wonderful landscapes, while a trip aboard the renowned funicular climbing along the mountain as far as Brunate will let you enjoy a breath-taking view on the city and on the basin of the Lake Como.